One of my favourite sides with a roast dinner is Good old fashioned Cauliflower cheese. 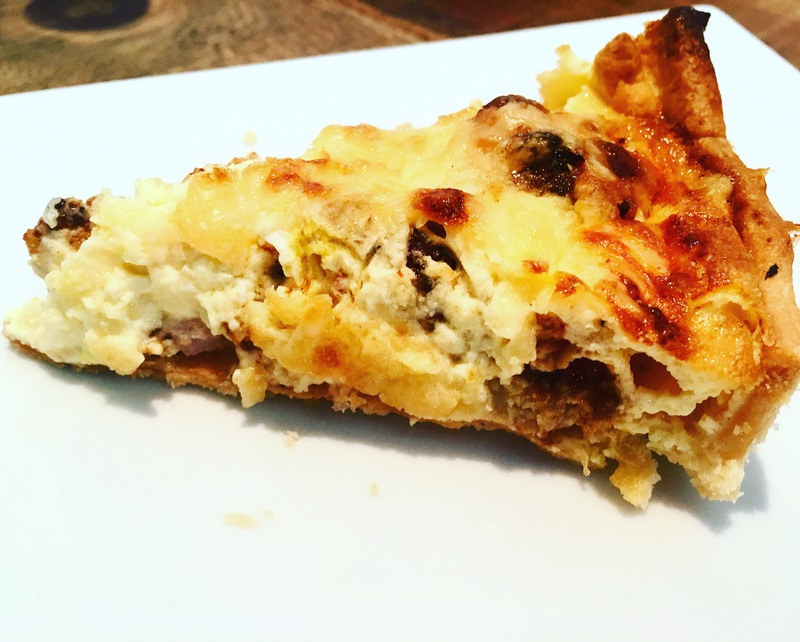 I was experimenting with Quiche flavours and trying to improve on the traditional Lorraine style quiche by using caramelised onions and extra cheese which gave the plain recipe some extra tang. Then thinking about other quiche flavours. Broccoli is used quite a lot and I had a brainwave over a substitute for Broccoli being Cauliflower as it goes with cheese so well. Add to that the caramelised onions and there could be a great combination. I’ve tried both making my own short-crust Pastry and using shop bought ready rolled and there isn’t too much difference so it’s up to you on how much time you have. Below my recipe is using the Shop bought version for speed. It worked out as a winning Quiche flavour. I hope you enjoy it too! 250ml Double or Single Cream. 100 Grams extra mature cheddar (grated). 1 Pack of ready rolled short-crust pastry. 1-2 Teaspoons of English Mustard. 2. Chop up the cauliflower into small florets. 3. Place the Cauliflower in an oven proof dish and sprinkle over the Garlic Powder, some Paprika, salt, pepper and olive oil. 4. Roast the cauliflower for around 20-30 minutes or until just browned on top. Then leave to cool. 6. Lay the Pastry out on a floured flat surface. Get a 20 cm Quiche/Flan tin and line it with the pastry. Push the pastry into the tin so it fills the tin. Make sure there is some pastry hanging over the edge of the tin as it will shrink once blind baked. 7. Prick the base of the quiche with a fork all over to prevent bubbling. 8. Line the pastry with some baking parchment then weight the paper down with baking beans or rice. 9. Place in the oven on a baking tray for 10 minutes. 10. Remove the baking beans/rice and bake for another 10 minutes. 12. Dice the onion red chilli and thyme finely. Heat some oil in a small frying pan. Add the onion and chilli. 13. Add the Paprika, thyme, salt, pepper and sugar to the onions. 14. Add the balsamic vinegar and reduce the liquid off. Set aside to cool. 15. Whisk together the Eggs, cream and mustard. 16. Sprinkle the Cauliflower, Onion/Chilli onto the quiche base. Sprinkle over the cheese. 17. Pour over the cream and egg mixture. 18. 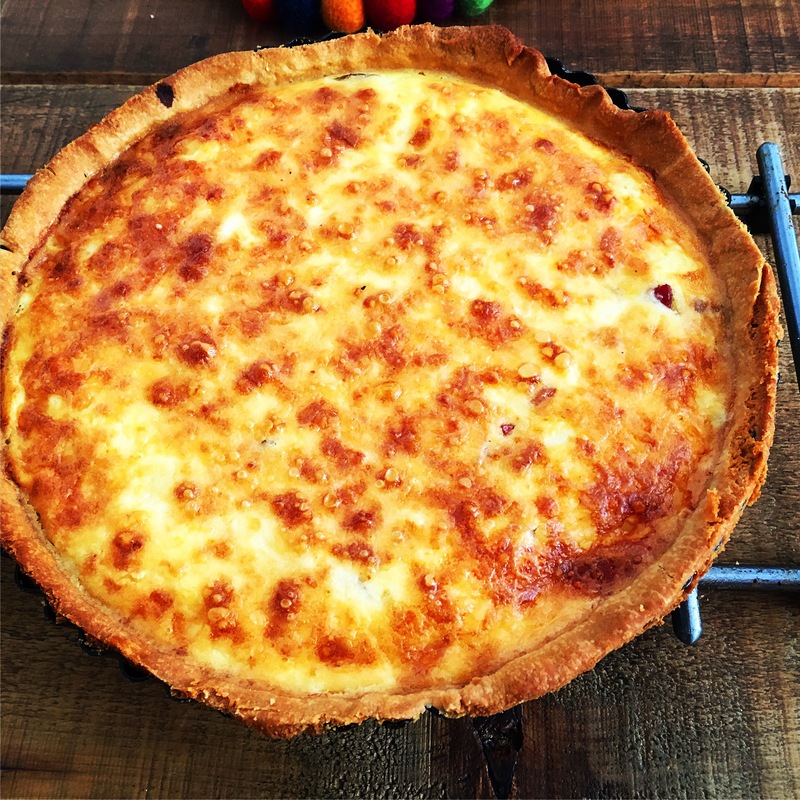 Place the Quiche into the oven for around 25-30 minutes nuntil the mixture has just firmed and coloured. 19. Remove from the oven then leave to cool and set for 10 minutes then serve.